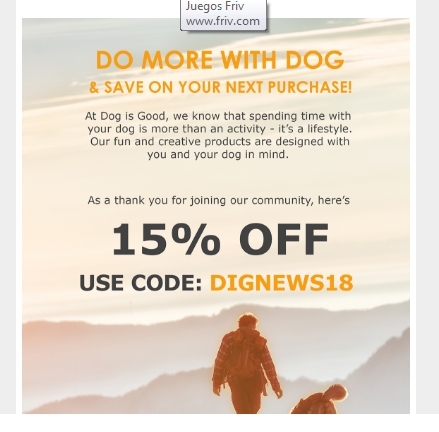 jesus navas This promo code is working as described, Get 15% Off Your Next Order at Dog Is Good by copying and pasting the promo code DIGNEWS18 at checkout in your shopping bag. 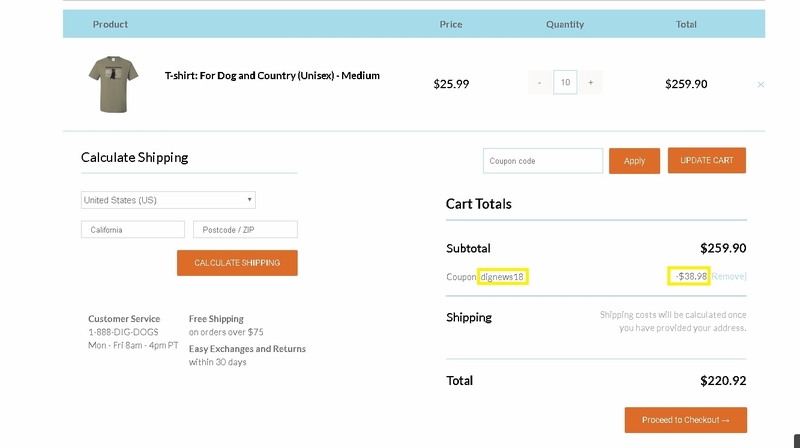 jesus navas This promo code is working as described, Get 15% Off Your Order at Dog Is Good by copying and pasting the promo code DIGNEWS18 at checkout in your shopping bag. 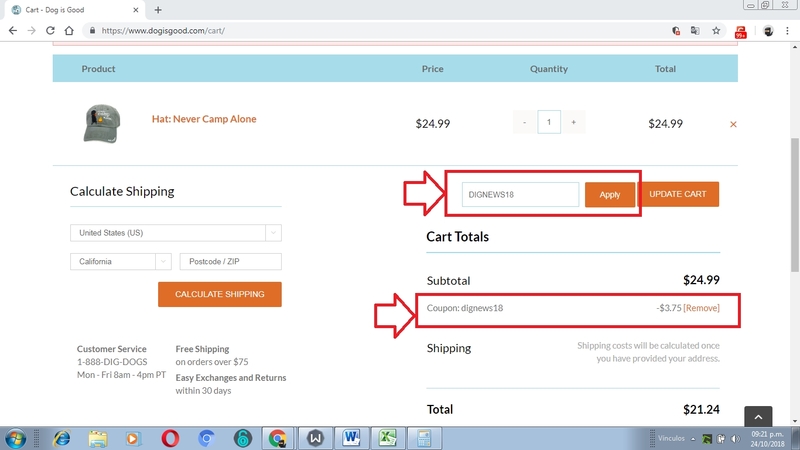 nelio I am re-activating this expired deal. 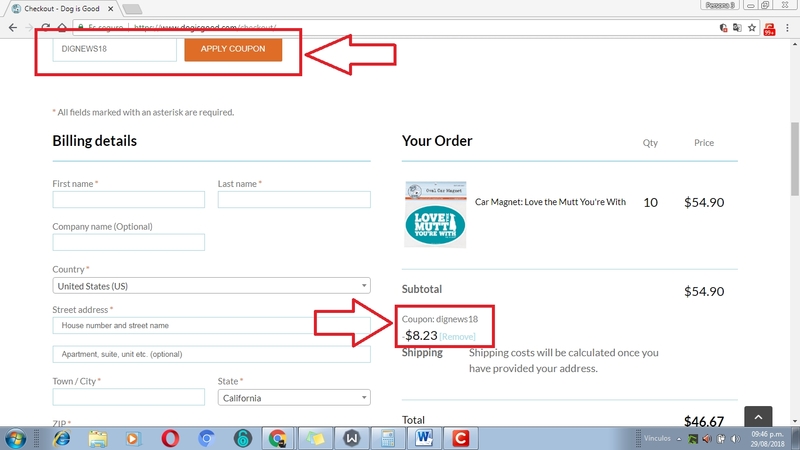 I will update it and validate that it works. 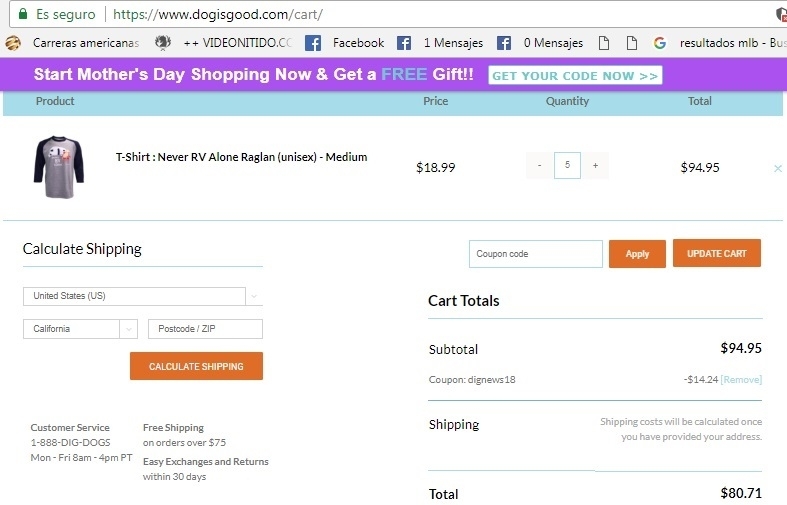 Use code DIGNEWS18 to get 15% off your order at Dog Is Good. 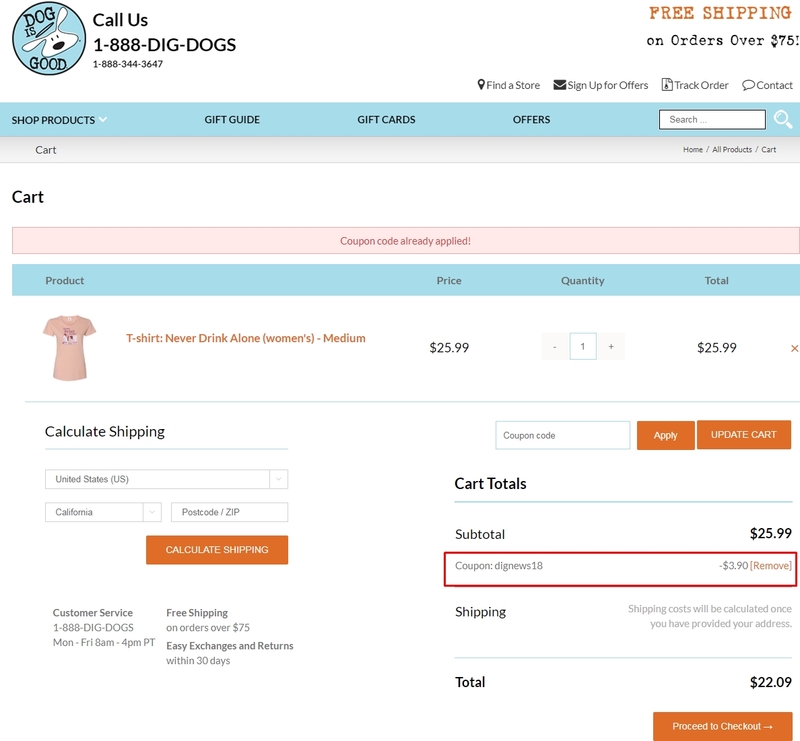 jesus peroza Get 15% Off Your Order at Dog Is Good. 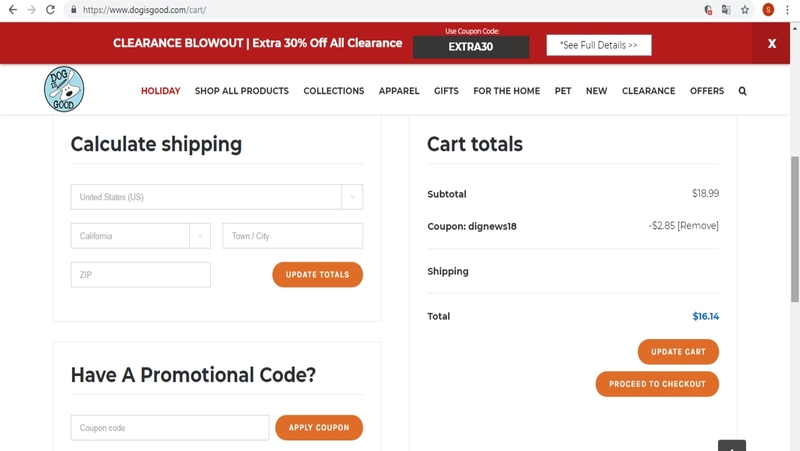 Use the coupon code DIGNEWS18 to claim your discount.Some Exclusions may apply to this offer. 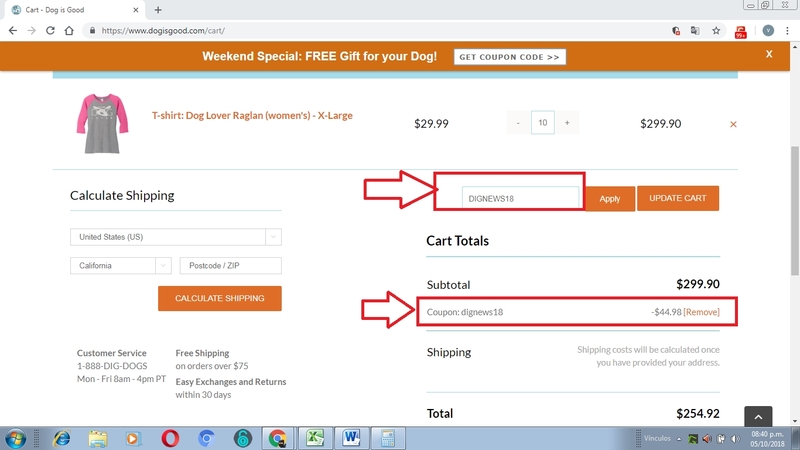 Crisol Vivenes I am validating this deal, it´s still working, just go to Dog Is Good, choose your product, go to shopping cart, proceed to checkout, place the code and apply, enjoy 15% Off your purchase. 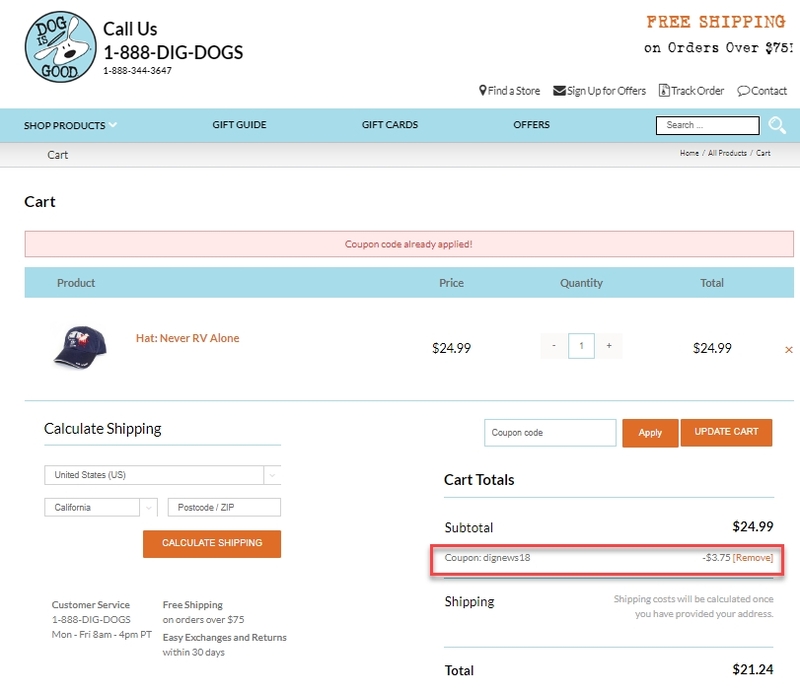 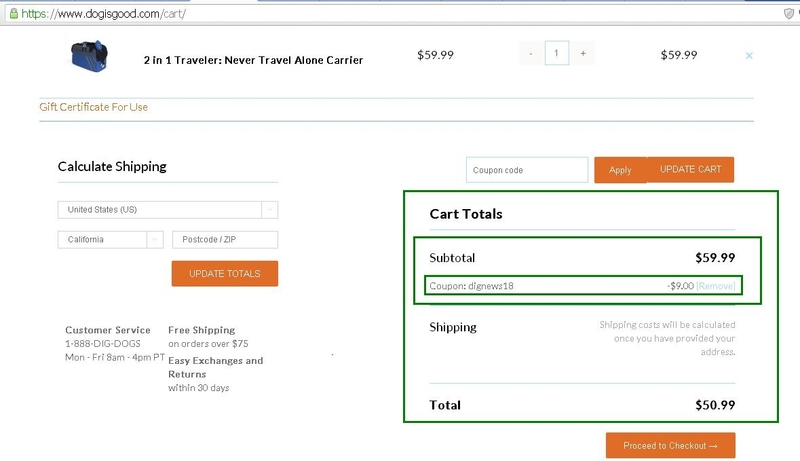 Free shipping on order over $75.